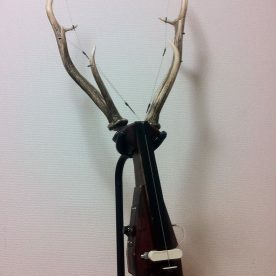 I am making the string instruments that produce sounds by strings tailored to the shapes of deer’s antlers. 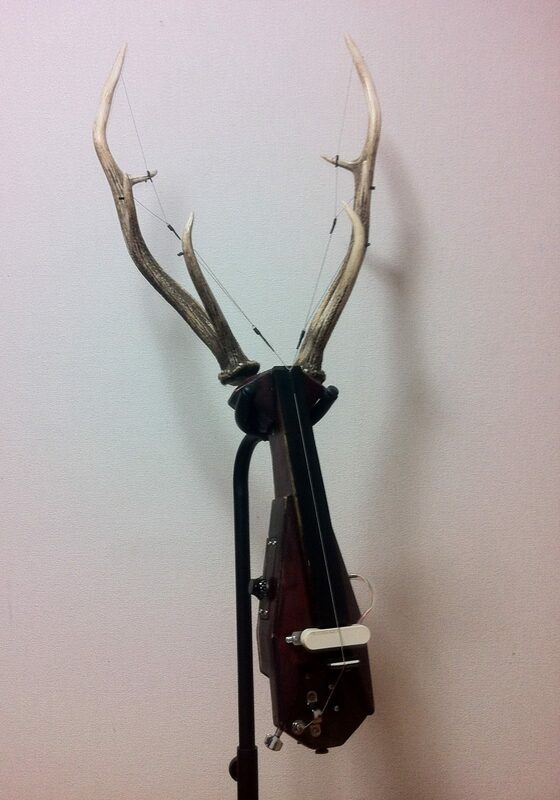 This sound can be seen as the crying of the Lord of Nature living in Nakanojo. 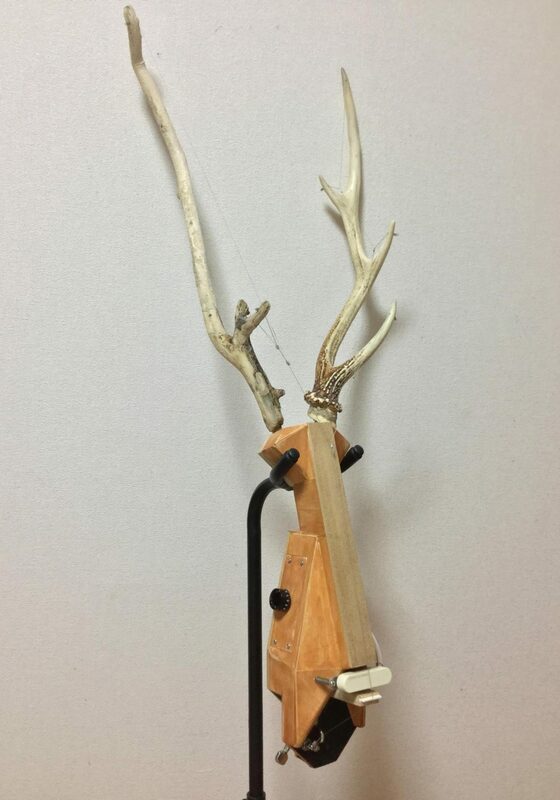 In the nature and human life in Nakanojo, I would like to get the deer’s antlers by hunting. 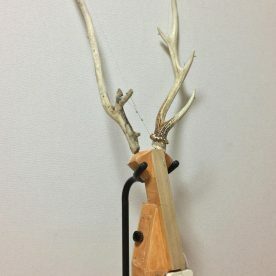 I felt good relationship between human and nature from the Makinoie (the house stored a lot of firewood) which is the exhibition space.